As we turn the page on another month, it is hard to believe January 2018 is already behind us in this New Year. 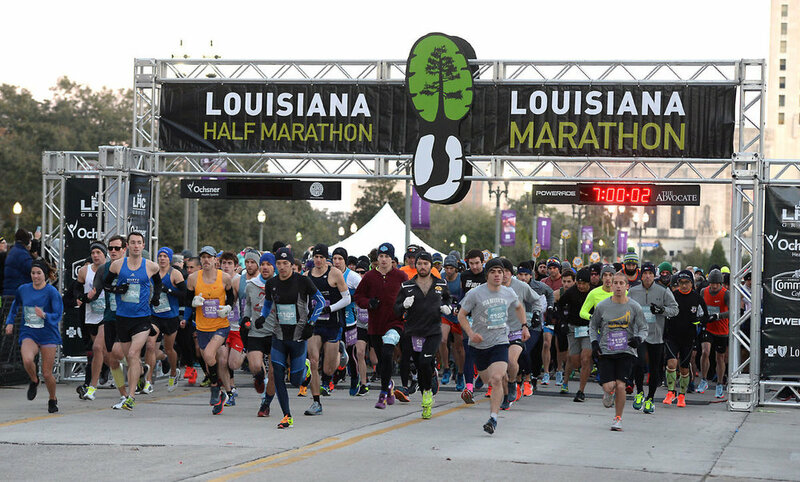 January flew bye here at SportsBR as we moved from the holidays straight into the Louisiana Marathon over the weekend of January 12-14 here in downtown Baton Rouge. This event always kicks of the year by showcasing our city to thousands of participants, both locals and visitors. In 2017, the Marathon welcomed runners from 48 states and 7 countries. Thank you to the Louisiana Marathon team for once again putting on a world-class event for our community. As we turn to the rest of 2018, we're excited about another full calendar of events taking us all the way through to December of great events and visitors from all over the region and the country to compete here in Baton Rouge. We're equally as excited about producing a number of great events for our community, including the upcoming Mardi Gras Mambo 10k, 15k and Fun Run presented by Core Power on February 17. It is hard to believe but 2018 marks the 20th Anniversary of the Mambo, which started back in 1999. Registration is going strong and proceeds from the Mambo help support our community outreach efforts here in Baton Rouge. Lastly, we kick off our new track & field programming in March with the first of three developmental track meets to be held in the area in 2018. The first is March 13 at Istrouma High School, with the others taking place on March 29 at Zachary High School and April 10 at Broadmoor High School. These meets feature 3 running events and 2 field events at each meet, giving athletes from 6-14, regardless of experience or skill level, a chance to try out track & field in a fun environment. These meets are also free to register! We're looking forward to working with our local track clubs and track & field partners to put these events on. Look for more updates in February and we hope to see you out at the Mambo on February 17.